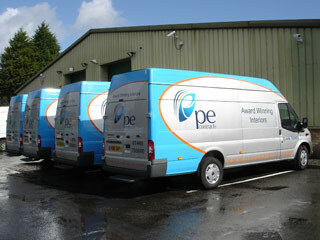 Vinyl vehicle graphics are a great way to advertise your business and can provide years of cost effective advertising. Our vehicle graphics are printed, cut vinyl letters applied to your car or van from your companies logo design or branding, this ensures your vehicle graphics provide maximum impact for your business. If you're still considering what to do with your van graphics or commercial vehicle graphics why not speak to Hammond Signs about our design service? We can adapt existing logo designs and product photography to help brand your vehicle or, alternatively, we can provide custom vehicle graphics to suit your particular needs. Just give us a call, we'll do the rest! Vehicle wrap graphics are slightly different to vinyl vehicle graphics - pre-printed, specialist vinyl is applied to your vehicle and then heated into place to provide the graphics with a 'memory' that adheres to the curves of the panels. This method allows for large sections, or even the entire vehicle to be wrapped with photography or graphics to advertise your business. 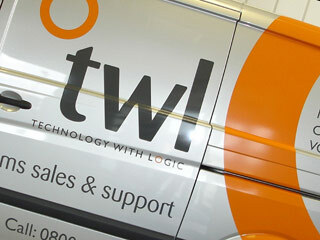 These vehicle wraps graphics are ideal for high impact van signs or for large fleets of vans.